Eye Vision Technology GmbH (EVT) will exhibit new image processing products in Booth 8456 at the Automate Show In Chicago, Ill. 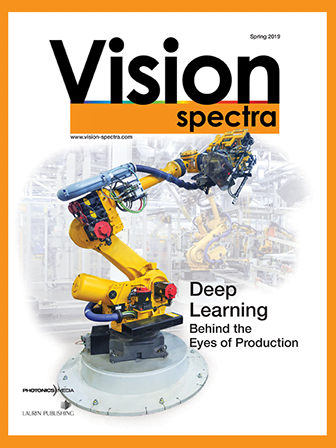 These include Machine Learning Homogeneity Inspection for detection of defects on textured surfaces and scratches on metal for the automotive industry; a deep learning number plate reader (NPR); 3D inspection with the new AIC Saturn 3D sensor; and new developments in the company’s EyeVision Software and EyeScan 3D products. For more information, visit www.evt-web.com, and Booth 8456 at the show.